Who? That’s the question that everybody was asking ever since The Guardians Of The Galaxy movie was announced a couple of years back. Fast forward a couple of years, and this might just be the most highly anticipated film arriving this year. And yet, despite a media blitz, most folks don’t know who the Guardians are. Well we’re here to educate your terrestrial kiesters on the characters. Here’s part 1 of a galactic Comic Book 101 special. Tune in next week, when we cover Rocket Raccoon and Groot. For he is Groot, in case you haven’t heard. And Rocket isn’t actually a racoon, but I don’t feel like giving away too many details right now. Ooga chakka ooga chakka! 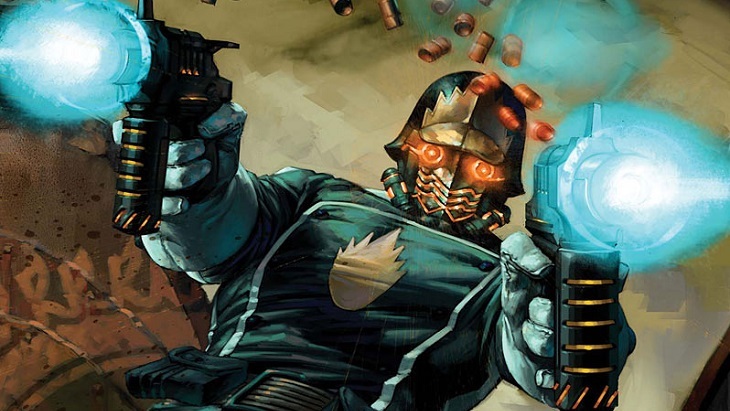 Guardians Of The Galaxy is out next week, August 1. And I’m hooked on a feeling that this may be the highlight big budget movie of the year. Previous article Watch The Last of Us, LIVE!